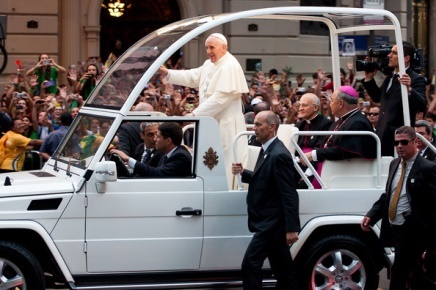 The Pope is Coming; The Pope is Coming to D.C.! Getting around D.C. 9/22 to 9/24, The Pope in D.C. The Pope is coming; The Pope is coming to D.C.
Where do we go? What should we do? How should we get there? Whether you are trying to get a close up experience with the Pope or you are trying to avoid the mayhem. This is the place to find the information! Officials are recommending that we avoid the D.C. area or to travel by metro, but this is not always possible, or maybe we just can’t stay away. Here is a guide to: Getting around D.c. Sept 22 to Sept 24. while the Pope is in D.C. How to get around D.C. while the Pope is in town and what roads are open and closed. 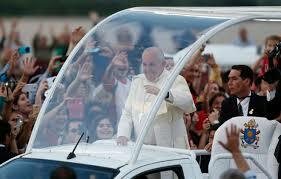 Tuesday, Sept. 22 @ 4 p.m.
Pope lands at Andrews Air Force Base in Maryland. Francis will head to the Vatican Embassy. No official stops will occur. Massachusetts Avenue NW will be closed to all traffic intermittently. 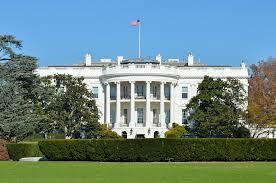 Wednesday, Sept. 23 @ 9:15 a.m.
Pope Francis visits President Obama at the White House. Topics discussed will be: social issues, economic opportunity, immigration, and religious freedom. Only those invited state guests, will get to see him. Wednesday, Sept. 23 @ 11 a.m.
Take alternative routes like 12th Street SW (north), Independence Avenue SW (east), 23rd Street NW (north), and the 3rd Street Tunnel (north). 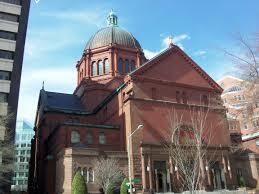 Mid-day prayer with the bishops of the United States at the Cathedral of Saint Matthew the Apostle. Wednesday, Sept. 23 @ 4:15 p.m. 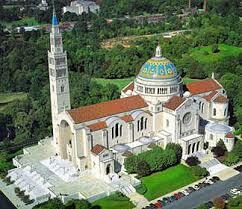 The Pope will deliver a Spanish mass at the the Basilica of the National Shrine of the Immaculate Conception and the University Mall. During the Mass, the pope will canonize Blessed Junipero Serra. 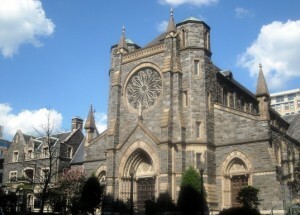 The D.C. Archdiocese will broadcast the Mass near the intersection of 15th Street and Constitution Ave. The Brookland Metro station—will be exit-only before the event. Use adjacent stops and shuttle buses. Thursday, Sept. 24 @ 10 a.m.
Pope Francis will deliver an address to a joint meeting of Congress. Speech will air live on a screen on the West Front of the Capitol Building. Pope Francis makes a stop on Capitol’s West Front, which overlooks the National Mall. 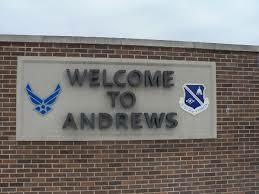 Thursday, Sept. 24 @ 11:15 a.m.
Thursday, Sept 24 @4 p.m.
Pope Francis departs for New York from Andrews Air Force Base.